The Common Core Standards address the “4 C’s”of 21st Century skills: Communication, Collaboration, Critical Thinking and Creativity. They also address Speaking Skills. 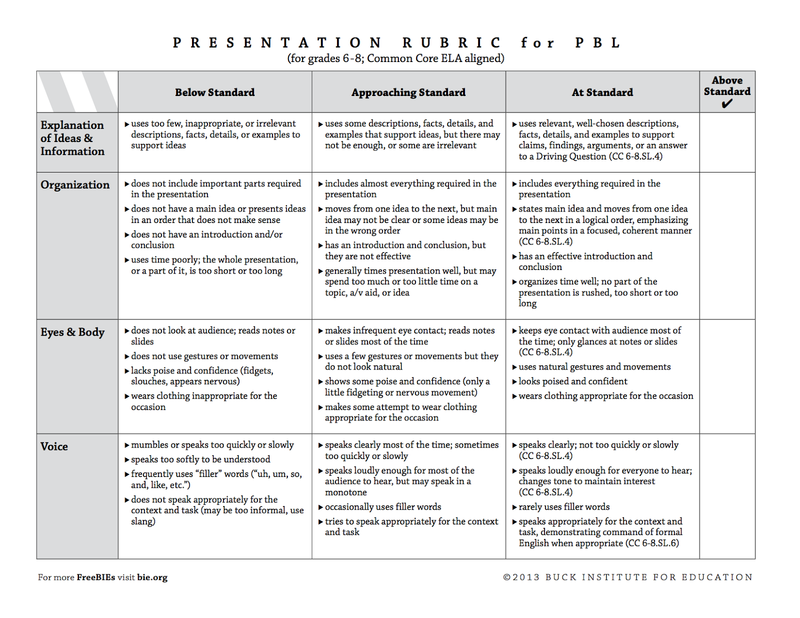 I found some great Presentation Rubrics created by the Buck Institute (BIE.org), a leader in the PBL (Project Based Learning) field. 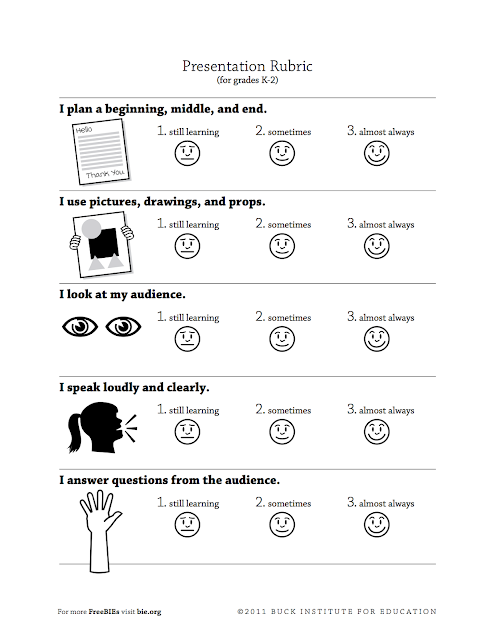 Note that these rubrics address the speaking and presentation elements and not the content-specific ones, which could either be incorporated with these or done separately. 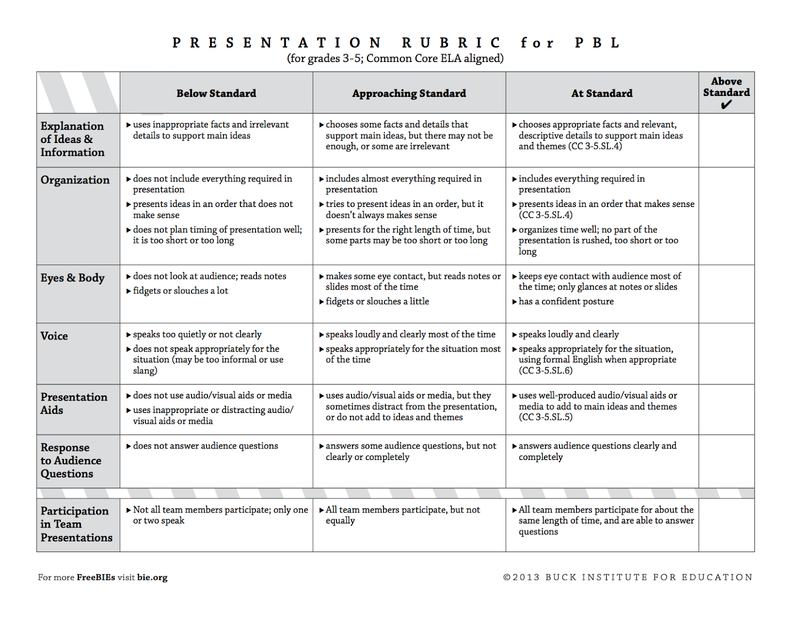 Click HERE for a link to download these rubrics (and read more clearly than the images included here), as well as some great additional information about 21st Century Skills, Common Core Standards and the connection to all content areas. I hope you find these useful ! 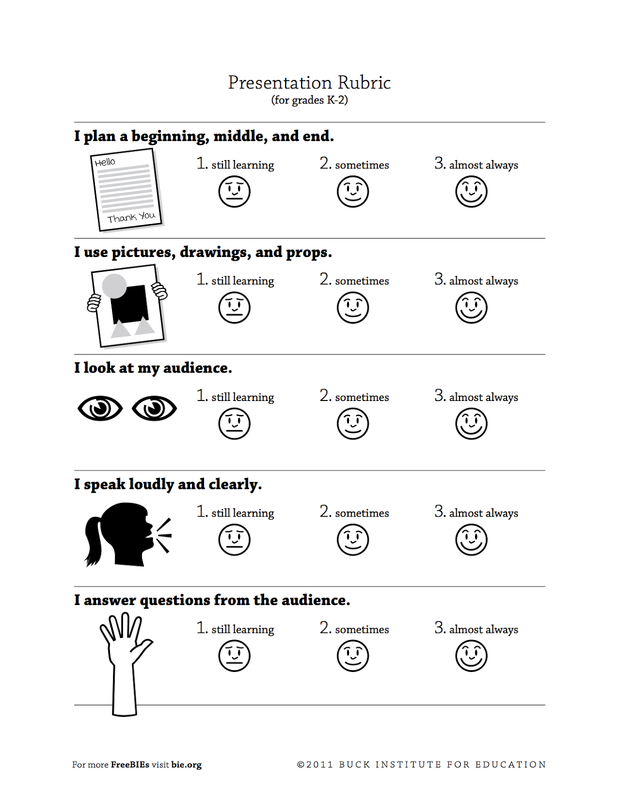 These are great rubrics and information on presentations. 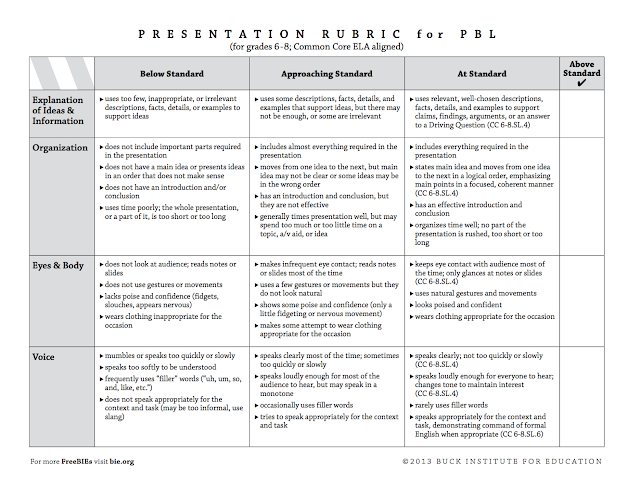 Where can I find the K-2 rubric? Thank you for the upper elementary rubric. It’s just what I need for my 3rd graders. The middle school rubric worked well for my sixth graders as a planning and assessment tool. My students knew exactly what was expected of them. I like it because I didn’t have to reinvent the wheel.